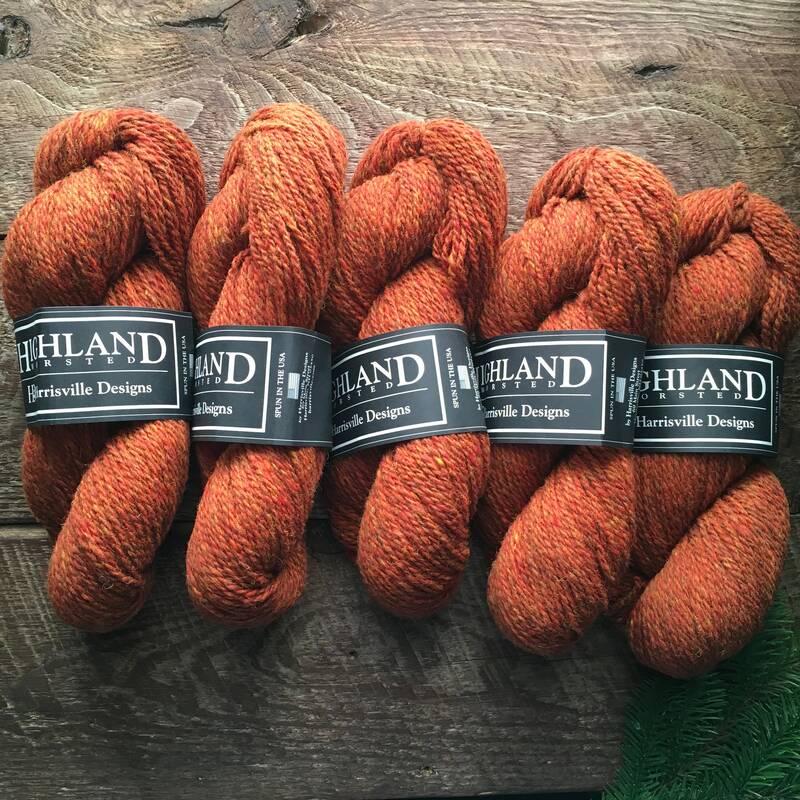 Warm worsted weight wool yarn that has an orange base with touches of red, yellow and brown blended throughout the skein. 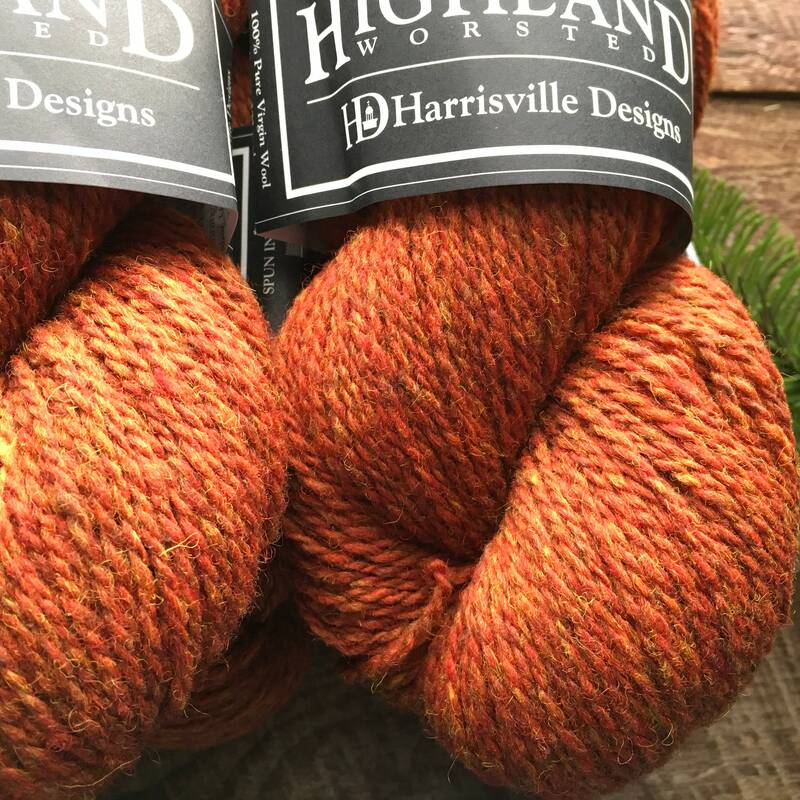 Topaz is the perfect burnt orange wool yarn for warm projects! 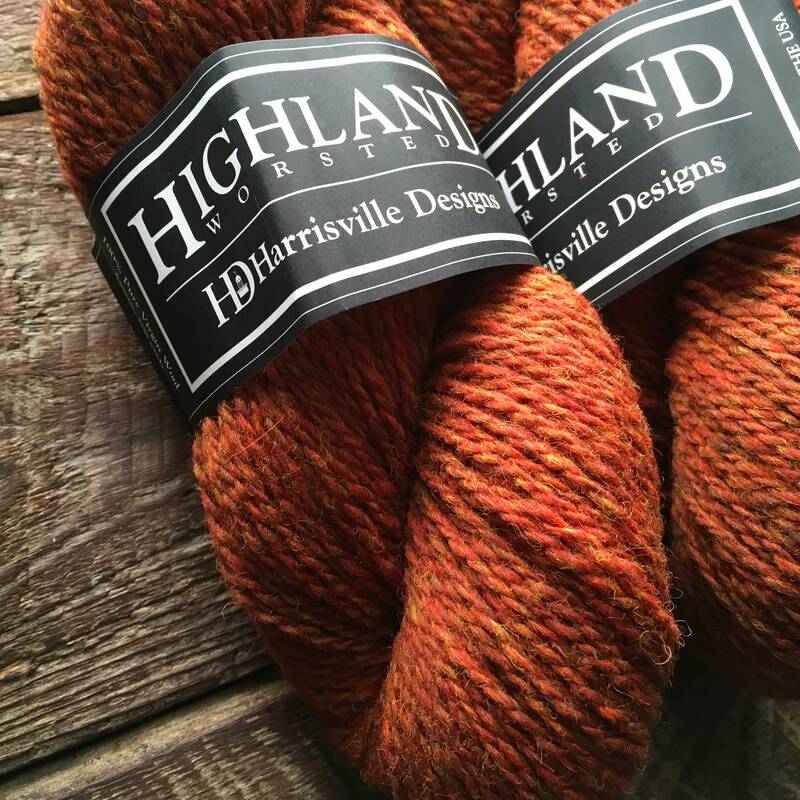 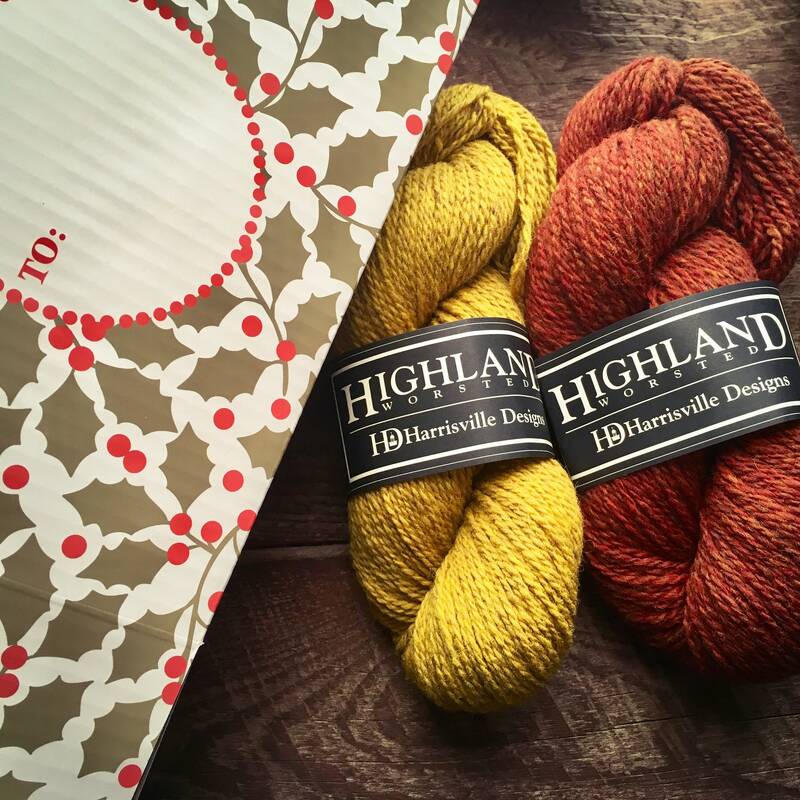 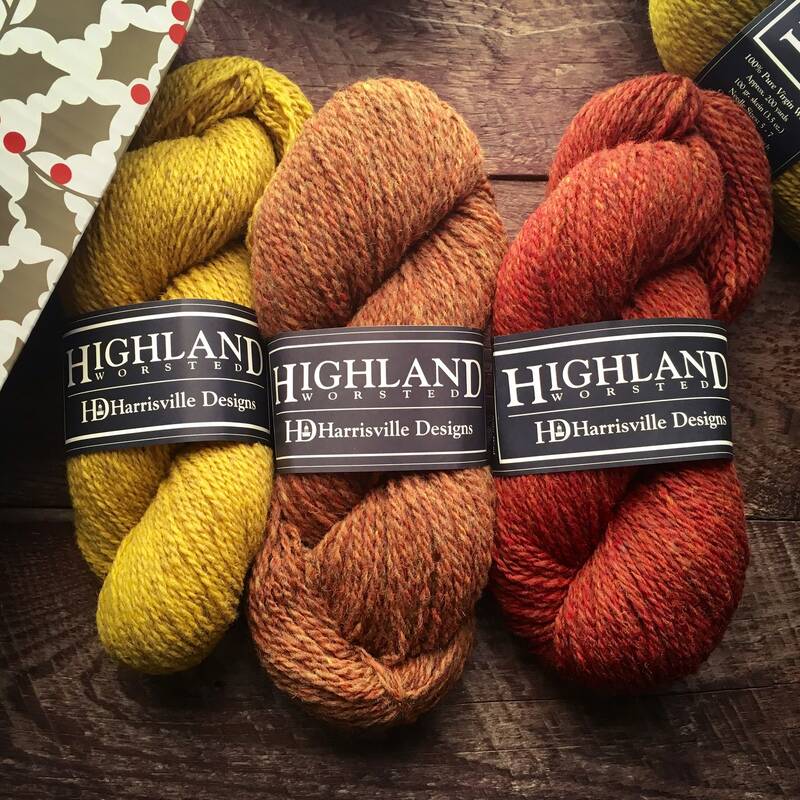 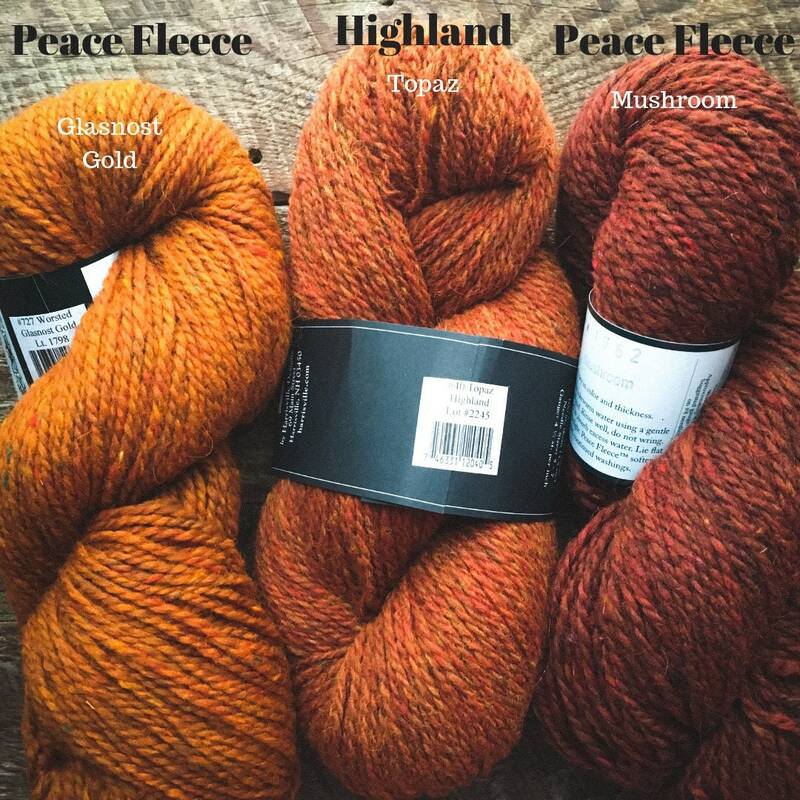 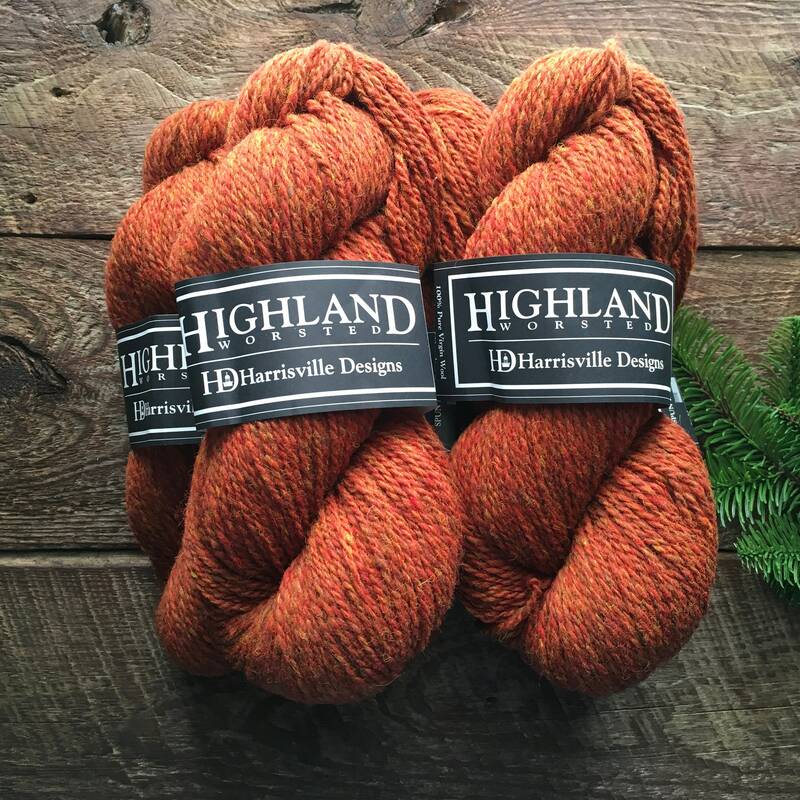 Highland is a good, sturdy working yarn that is very warm. 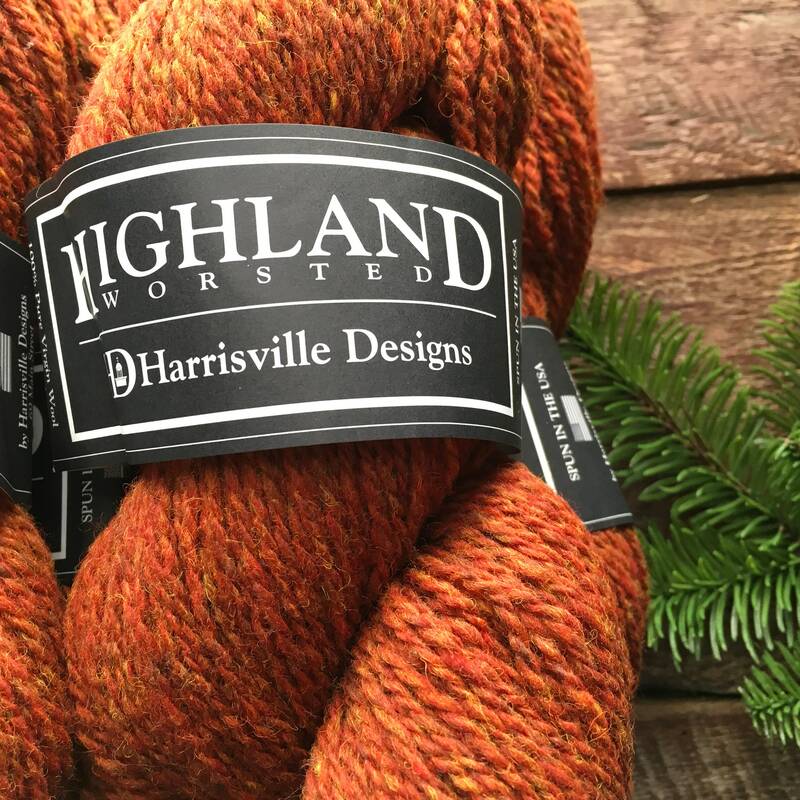 It will surprise you after you wash your project. 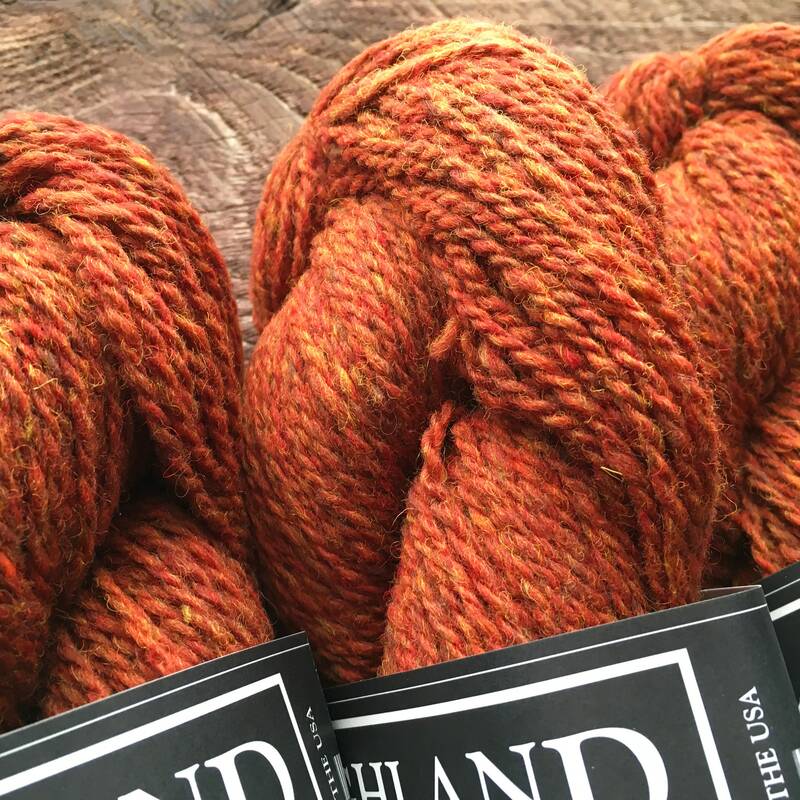 This yarn relaxes and blooms the more it is washed & worn, quickly becoming a soft favorite! 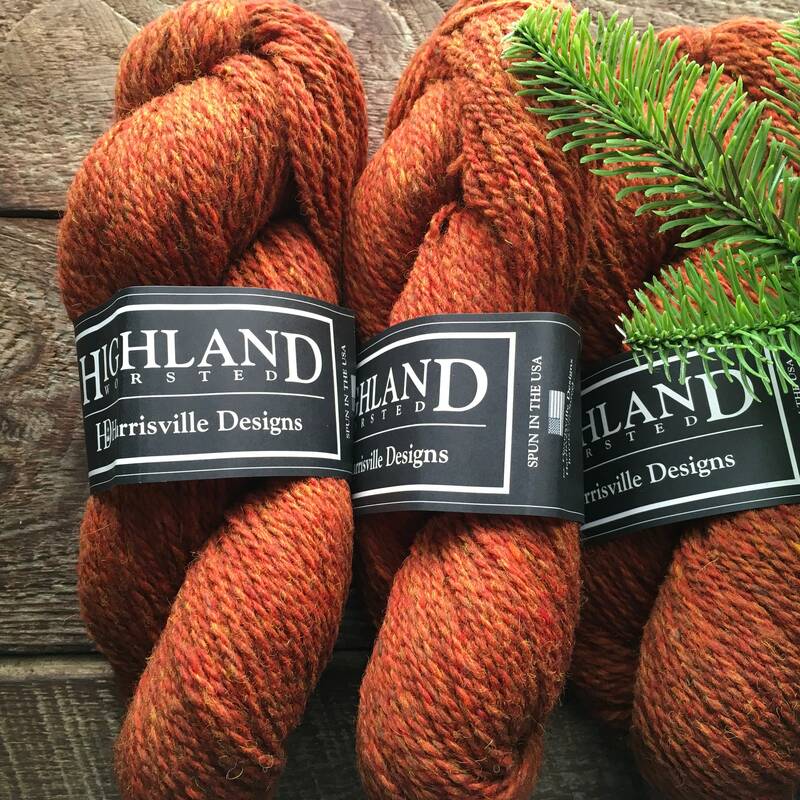 Excellent for sweaters, shawls, and mittens!